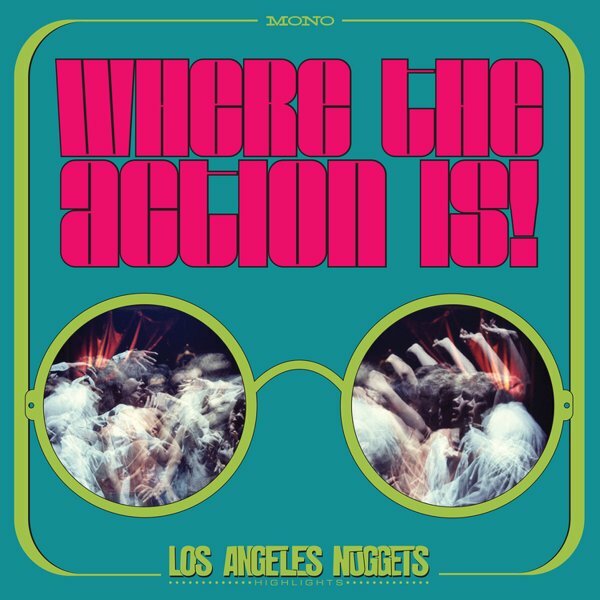 A totally great, totally groovy collection of work from the LA scene of the 60s – a set that masterfully blends all the garage, psych, and offbeat pop that was coming out of the City Of Angels during this heady period – often with modes that were really criss-crossing each other in style! You'll definitely recognize some of these names, but the greatness of the set comes in the way they put everything together – making musical matches we might not have expected, and creating a real sense of surprise when you hear two unlikely partners in the same space. Titles include "You Set The Scene (stereo)" by Love, "Gentle As It May Seem" by Iron Butterfly, "Dr Stone" by The Leaves, "Baby My Heart" by Bobby Fuller Four, "It's Gonna Rain" by Sonny & Cher, "Come Alive" by Things To Come, "For My Own" by The Guilloteens, "One Too Many Mornings" by The Association, "Baby Please Don't Go" by The Ballroom, "Rainbow Woman" by Lee Hazlewood, "The Rebel Kind" by Dino Desi & Billy, "Come Down" by The Common Cold, "Once Upon A Time" by Tim Buckley, and "Life Is A Dream" by Noel Harrison. © 1996-2019, Dusty Groove, Inc.